23andMe is a unique ancestry DNA testing company that provides its users with both ancestral genetic exploration and carrier screening for some of the most dangerous genetic diseases. On top of that, the final results also cover some genetic health risks, wellness reports, and potential traits encoded in your DNA. In this guide, we’ll familiarize you with some of the best companies on the market that can serve as 23andMe alternatives. We have chosen a healthy mix of ancestry and health-related portfolios in order to facilitate your final decision as much as possible. Read our in-depth guide and learn how to uncover the secrets of your deep ancestry and identify your carrier status for some of the most dangerous and debilitating genetic diseases. MyHeritage provides an excellent combination of ancestry DNA testing and genealogical exploration, giving its users reliable insights into their past and connecting them with unknown relatives. AncestryDNA is the biggest enterprise of its kind, offering high-quality DNA testing complemented by billions of genealogical sources, which allows its users to obtain accurate and long-reaching results. New Life Genetic offers a wide range of unique and exciting DNA testing solutions designed to provide you with all the relevant health-related information that is locked away in your DNA. 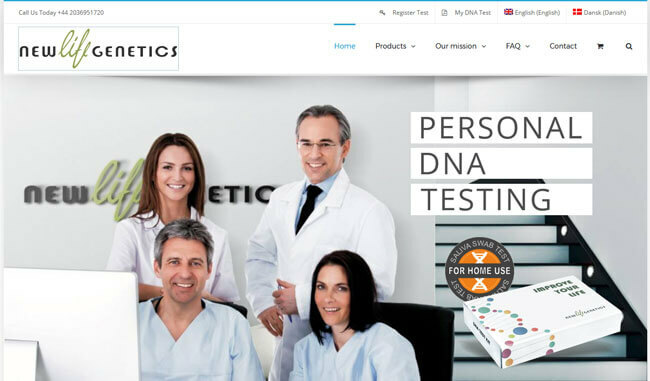 Living DNA was founded in 2004 by DNA Worldwide Group to provide its users with the most region-specific ancestry DNA reports and offer reliable haplogroup determination and ethnic percentages. Pathway Genomics was launched in 2008 as a medical diagnostics company focused on providing physicians and their patients with simple and convenient testing options and treatment support. Our ranking process is based on a set of objective criteria that is used as a reliable tool for determining the relative and general quality of a DNA test. The criteria correspond to the key qualities of 23andMe DNA tests and measure the likelihood of the tests providing accurate results that can be of veritable use to the clients. Furthermore, they point to potential user satisfaction and determine which tests come at prices that best correspond to the quality of services provided. The first part of our ranking process involves the assessment of the reliability, quality, and usefulness of the tests and the results they provide. We also examine test scope and accuracy, along with the likelihood of test error. In the second part of the process, we examine the quality of customer service and determine potential customer satisfaction. The criteria used in this part of the process include test processing times, the level of privacy ensured, and value for money. The companies featured on this top list meet all of the rigorous criteria mentioned above and provide unique additional benefits that set them apart from the competition. Discover the full range of advantages they offer in the reviews available below. MyHeritage is an Israeli provider of comprehensive genealogical exploration and, as of recent, ancestry DNA testing. The company was launched in 2003 by its current CEO Gilad Japhet and has quickly risen to fame thanks to its extensive genealogical database and numerous useful features. The company currently features more than 2.6 million user profiles, 8 billion historical records, and over 14 million family trees. These numbers are going up as we speak. MyHeritage has a big advantage over companies that can only offer ancestry DNA testing since it can complement your results with numerous genealogical sources. For example, you can go through billions of old photos, journals, newspapers, documents, and many other windows into the past of your family line. There are two ways to obtain information about your genetic matches from MyHeritage’s database. You can either purchase the company’s dedicated autosomal DNA test or you can transfer your results from AncestryDNA, 23andMe or Family Tree DNA. In other words, you can gain full access to the company’s user profiles without even purchasing its test, which is an unparalleled benefit. MyHeritage’s autosomal ancestry DNA test costs 99.00$ and is performed by highly trained experts in CLIA-certified processing facilities. It checks 690,000 genetic markers and yields results in 3-4 weeks. As with any other top-tier company, you also have the option of downloading your raw DNA data and using it with other testing providers. On top of this, you can also purchase the company’s Data subscription (13.27$ per year), MyHeritage Premium subscription (9.17$ per month, billed annually), and MyHeritage PremiumPlus subscription (10.95$ per month, billed annually), which unlock a plethora of different options and features specifically designed to facilitate your genealogical research. Ancestry.com LLC is by far the biggest genealogical enterprise on the market. It is complemented by genetic ancestry exploration embodied in one of its branches called AncestryDNA. The father company was launched in 1983 and has since incorporated a multitude of well-known brands and products, including AncestryHealth, Ancestry, Archives.com, Find a Grave, and many others. Apart from its high-quality DNA testing, the company also provides its users with access to more than 16 billion historical records, 200 million scanned documents, photos, and written stories, and more than 700 million names in user-generated family trees. The company offers region-specific websites and services in Australia, Canada, China, New Zealand, the UK, Japan, Brazil, and other countries. The AncestryDNA test checks all 23 pairs of chromosomes in the human genome, examines more than 700,000 genetic markers, and covers 350 worldwide regions. Your DNA signature is compared against the company’s database with more than 7 million profiles. The test costs 99.00$ and the final report is usually generated within 6-8 weeks. The results will show a detailed representation of your paternal and maternal lines, as well as potential traces of Native American and Jewish DNA. The report doesn’t cover Neanderthal percentages. Since it also incorporates the direct-to-customer business model, you can perform most AncestryDNA testing procedures from your home. Once generated, your final report will be available on the official website and accessible through your personal account. AncestryDNA currently ships its testing kit to 35 countries, but the company constantly works on expending this number and widening its geographical coverage. New Life Genetics is a Danish company founded in 2014 with the goal of allowing everyone to live longer, healthier, and better lives. The company is dedicated to solving the biggest medical mysteries and challenges by deciphering potential answers locked in our genetic code. In order to do that, the company features the most interdisciplinary team of scientists on the market, including experts in nutrigenetics, genetics, health, sports, dietetics, nutrition, and many other fields. The company also incorporates the direct-to-customer business model, which means you can perform any test from its impressive portfolio right at home without making any appointments or waiting in lines. You will receive your final report within 20 days, which is a much shorter period than with many other DNA testing companies. New Life Genetics offers 8 different DNA testing options, ranging from the exploration of your genetic potential for weight loss and developing acne to screening for genetic predispositions for allergies and stress. We especially like the so-called Talent DNA Test, which is designed to help users unlock the full scale of their physical, mental, and intellectual potential. The prices go from 113€ up to 285€. As we already mentioned, the final results are generated within 20 business days and the company will never allow anybody else to inspect them without your explicit consent. New Life Genetics also provides free shipping for its testing kits and currently ships to 31 countries. Living DNA was founded in 2016 by DNA Worldwide Group to provide the most region-specific ancestry reports and haplogroup determination, as well as the most precise estimates of genetic ethnic roots. In order to do that, Living DNA’s ancestry test covers 80 different regions of the world, which is an impressive number that puts it way above the competition in terms of sheer precision. The company is partnered with more than 100 world-leading scientists, genetics experts, and academic researchers. It also takes part in numerous research projects and has collaborated with Family Tree DNA, Scotland’s DNA, and the team in charge of The British Isle Study of 2015. To put it simply, Living DNA is a company focused on cultivating the most accurate projection of your ancestral lineage reaching to times immemorial. Living DNA’s test checks some of the richest repositories of genetic information across your entire genome (including the gender chromosomes). The test explores 650,000 autosomal genetic markers, 4,000 mitochondrial areas, and 21,000 areas in the Y chromosome. The results are ready in 10-12 weeks. Your final report will give you detailed and reliable information regarding your haplogroup and subclade, genetic and historical data about your haplogroup, a coverage map showing the highest relevance of your haplogroup on the world scale, a migration map with the potential migration pattern your direct maternal line took from Africa onwards, a phylogenetic tree to position your subclade on the family tree of the entire humanity, and much more. The price of the test is 159,00$, which is admittedly not all that budget-friendly, but the company does offer frequent discounts. Pathway Genomics Corporation was founded back in 2008 as a private medical diagnostics enterprise focused on providing full health and wellness control to physicians and their patients. The company is currently located in San Diego, California, and also offers treatments support for a wide range of health conditions. The company’s genetic health testing portfolio is vastly superior to that of 23andMe, but it doesn’t cover ancestry testing, so if you’re only interested in all-encompassing health-related reports, Pathway Genomics is a perfect choice. As a private user, you can order testing solutions dedicated to wellness, losing weight and staying fit, genetic predispositions for skin features, and your genetic response to gluten. Physicians, on the other hand, have a much wider range of options, including testing solutions for a complete analysis of your overall health and wellness, cardiac DNA insight, female genetic profiles, drug response, carrier screening for 120 recessive genetic diseases, screening for hereditary cancer, and many others. As you can see, choosing the best alternative for a reputable company, especially as unique as 23andMe, is a challenging task that requires a lot of research and data juggling. Fortunately, we have already comprised a list of the optimal replacement options if, for some reason, you don’t want to go with 23andMe. Of course, every company on our list will suit some potential customers more than others, depending on their current needs and expectations. MyHeritage and AncestryDNA are perfect options for individuals who would like to complement their genetic research with an abundance of genealogical sources. Both companies offer high-quality ancestry DNA tests, as well as billions of historical documents that will help you connect some names and faces, learn more about your relatives from the past, and maybe even discover some living relatives you never knew existed. Living DNA is the best choice for people who want to determine the origins of their haplogroups with surgical precision. The company also provides the most precise ethnic estimates on the market based solely on genetic examination. Living DNA, however, doesn’t offer any genealogical sources for further exploration. New Life Genetics is designed for individuals who want to learn more about their genetic health but also receive information about certain predispositions encoded in their DNA. Finally, Pathway Genomics is a complete online clinic designed to cater to individuals who want to explore their genetic health together with their physicians.